I got these out of order. 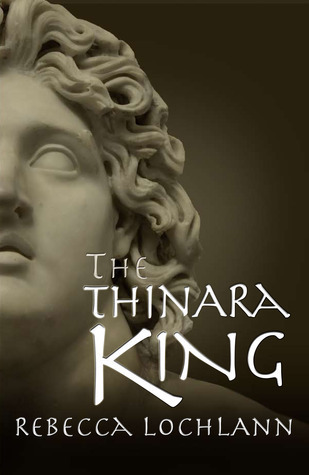 The Thinara King, second novel in the Bronze age of the Child of the Erinyes series starts with Chrysaleon winning the hand of Adriela and the title of Zagreus. Wishing to delay meeting his end, he plots to use an old prophecy to take over Crete and rule with Adriela at his side. When Crete suffers the double tragedies of a earthquake and tsunami, as well as an invasion by a spurned competitor, Adriela's throne and dignity are taken from her as she is kept captive. Adriela must fight: for her life, her home and her husband. This novel really springs to life. The action takes on a deeper meaning as Adriela grows from a child to a woman and queen. The love triangle starts to deepen and things really heat up. This is a fantastic read! 5 stars! I read all three of the Child of Erinyes in a three part kindle book I purchased from Amazon here. Hate reading books out of order! I did good, since I did the three part in one kindle book. But then like an idiot, I wrote the reviews out of order! Face palm!